This pond is simple in design. 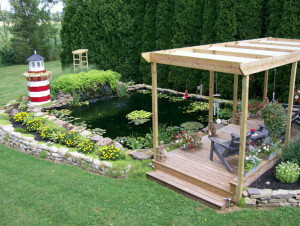 It is a nice backyard pond adding a focal point to the yard. Family gatherings will be centered around the fun and colorful movement of the life in the pond. Adding a deck or pergola enhances the pond making it easy to sit and enjoy. 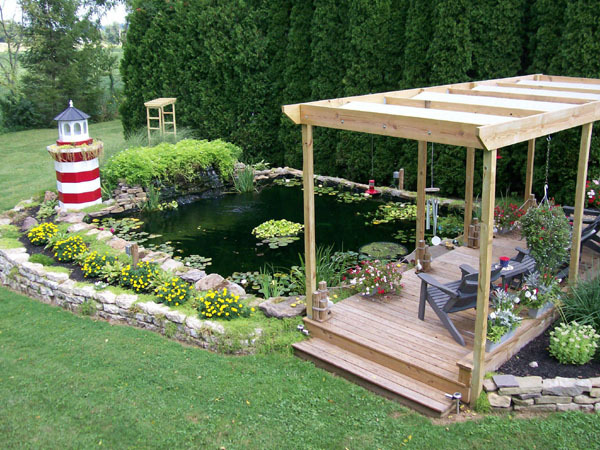 This pond can accommodate whatever you may like to add. It has plenty of room to add large water lilies or if your pond builder installs some shelves then bog plants will soften the edges. With the pond pump and filter running 24/7 then Koi will thrive along with any other pond critters.